AnonD-214480, 22 Dec 2013Which one Is Better Xolo q2000 Vs Micromax Canvas Magnus ?Sorry Xolo q2000 is way better then micromax canvas magnus. 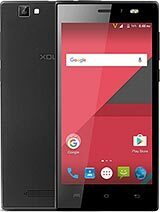 Which one Is Better Xolo q2000 Vs Micromax Canvas Magnus ? 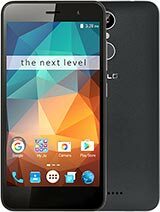 Hi guys, I just ordered Q2000 and now I see Q3000 is also about to come. What approx price it would be, any idea?? Should I cancel my Q2000 order and wait for 3000?? will it be worth? well i ordered it in 13500 and i think Q3000 will be much more costly than this. 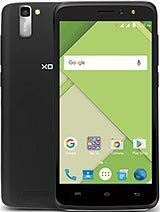 qusai, 19 Dec 2013is xolo q2000 better than micromax canvas magnus huh plz tell me smeone i am a bit confused Q2000 is way better then magnus. A phone is of no use with such a pathatic battery backup. 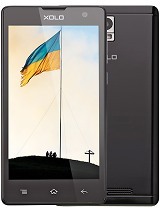 I have sold out my Canvas magnus at a throw away price andbought a Xolo q2000. Yes the touch issue is there but it is already rectified in the update. 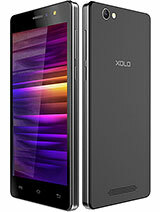 If you love big size Xolo q2000 should be your choice. AnonD-216506, 19 Dec 2013I think you should opt for canvas magnus as the xolo q 2000 has still some touch sensitivity p... moreCan someone ell me how to update through OTA??? I dont see any OTA apps on the phone?? qusai, 19 Dec 2013is xolo q2000 better than micromax canvas magnus huh plz tell me smeone i am a bit confused I think you should opt for canvas magnus as the xolo q 2000 has still some touch sensitivity problem even after repair and arrival of fresh stock. Believe me. Else its an awesum looking big fone!!! 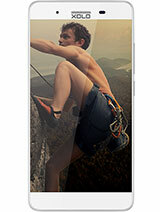 Its an elegant phone in looks ...the only problem is its touch sensitivity. Even after fresh arrival of stock after repair..the touch is not that great...rest just awesum! How's the camera quality of this phone and what should I do for improving his touch sensitivity. How's the camera quality of this phone and what I do for improving its touch sensitivity. AnonD-121589, 17 Dec 2013Hi All , Today I recieved another update through OTA, which I downloaded over wifi .My to... moreglad that you have shared your experience. Good that there is a improvement in touch. Hope that i will get my DOA unit Soon. Try this . Connect keyboard n mouse (wireless) if u hav n see whether it works to play games etc. Today I recieved another update through OTA, which I downloaded over wifi .My touch performance has improved a lot all ofa sudden ,although I was not facing any issues ,but now the touch is super butter smooth . This phone is about to get 1 month old in few days , after which i ll write a full detailed review.I am really happy so far especially for the 2600mAh battery I was tied of my A116 HD battery life ,its worth every penny .